Increase your lean muscle gains, reduce your recovery time, and get stronger fastert. 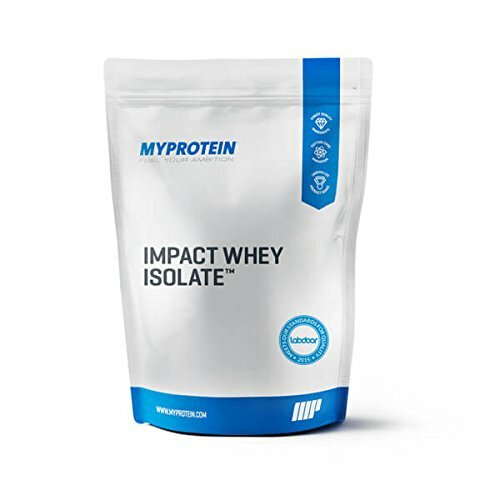 Impact Whey Isolate from MyProtein is a next generation protein blend that provides athletes of all experience levels with the fuel they need to increase performance. Whey Isolate is what it sounds like it is: an isolated mixture of real whey protein with natural dairy sugars and fats removed. Mix with milk or water for the best effect. It's perfect for people who want to build muscle without gaining fat. Take 30-60 minutes before exercise or between meal times. LOW LACTOSE MIXTURE: Whey Isolate just gives you the protein while minimizing the presence of hard-to-digest lactose sugars. You can get the benefit of high-quality whey protein without also getting a mixture that's tough for your digestion system.